It’s supposed to snow 5-8 inches here tonight. I’m not sure how true that forecast is, but I’m excited to get out in the snow anyway. I don’t have a whole lot of interesting things to talk about this time. Just slaving away at the computer screen, processing photos. I love it! Due to accidentally getting some toothpaste in my eye, I’m taking a break to write this entry! 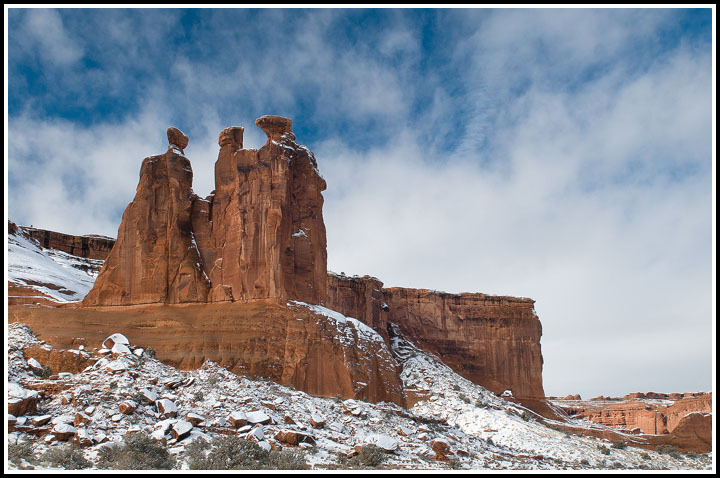 Here’s a shot from Arches NP back in December. I posted it on here before, but here is the properly processed version. This entry was posted on Monday, March 2nd, 2009 at 3:52 am and is filed under Off-Topic. You can follow any responses to this entry through the RSS 2.0 feed. You can leave a response, or trackback from your own site.